Luke Westerman‘s pit bull, Franky, loves music. 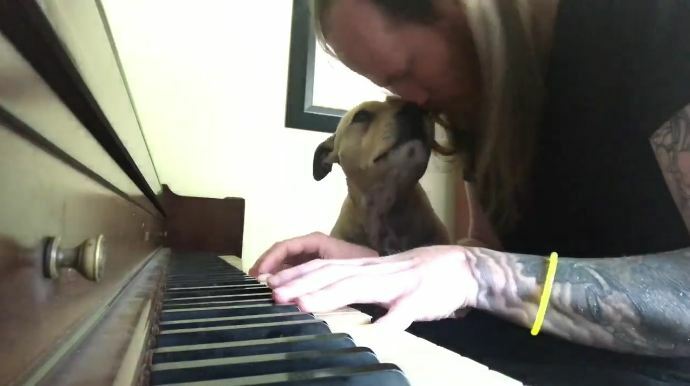 And his favorite thing is when dad serenades him by playing the piano or guitar. The nine-year-old dog will sit as close to Luke as possible while he performs, sometimes even sitting on his lap. Franky loves it so much, he likes to be petted and kissed and has even been known to fall asleep during the performances!